Okay, so its time for my first ever blog! Not really sure where to start of! lol. Think I will start with some photos of nail art ive done in the past. Please excuse the quality of the photos as they were taken with the camera on my phone, which isnt the best. 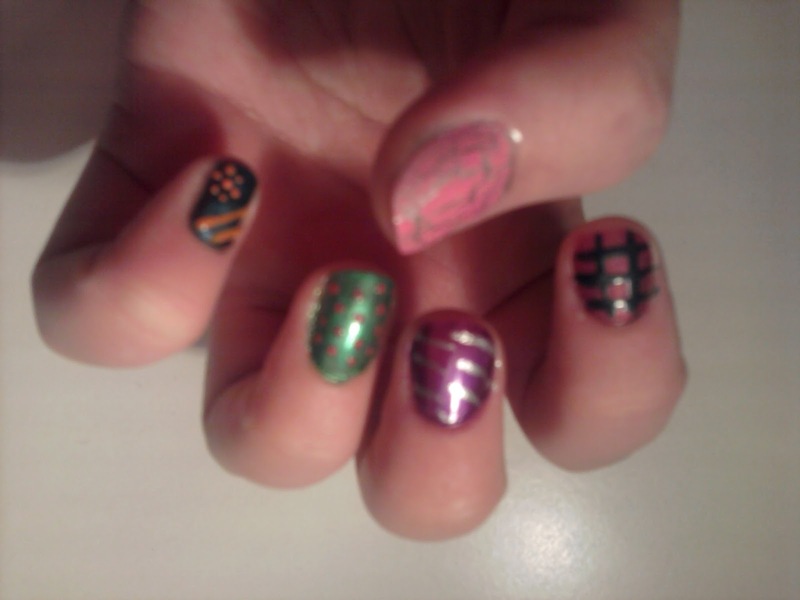 I got my Nail art pens at christmas for about £18.95 , it was a set of 60 nail art pens on ebay. The seller provider a variety of colours and some glitters ones too and the delivery was very quick. i would recommend this seller.